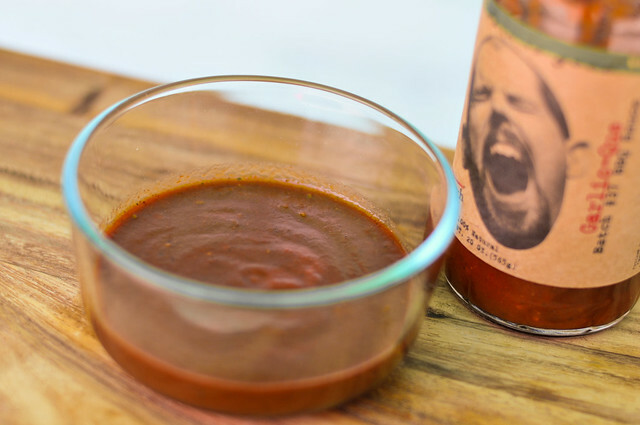 A heavy bite of garlic defines this sauce, and while it preformed well both out of the jar and on the grill, the distinct flavor makes it pretty specialized, best used only when you're sure you want that in-your-face garlic flavor. This sauce is a brand of Kansas City company Original Juan, which, if you take their website at face value, is born from a story that sounds like it could be the next plot in the fizzling, and seemingly never-ending, Pirates of the Caribbean series. A romantic tale of a chile grower named Juan in a secret island, whose perfect pepper was destroyed by evil pirates, only to be saved by his son after stowing away in search of a safe place to regrow these peppers once again. 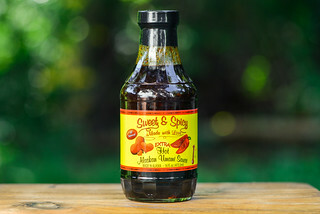 Back in reality, Original Juan is specialty food company founded in 1998 and creates 17 different brands of various sauces and rubs, with Pain is Good being one of them. 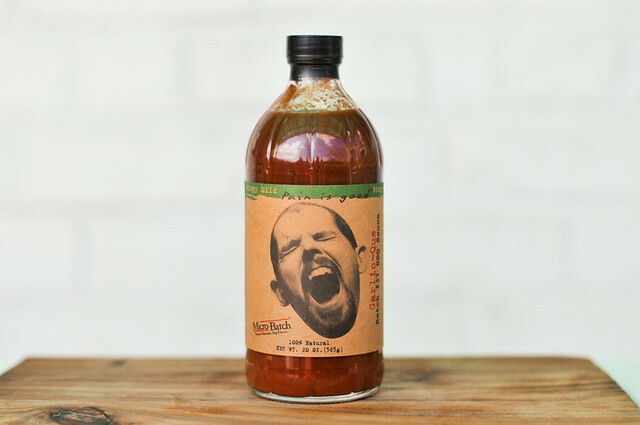 Batch 37, or Garlic-Que, is a blend of Kansas City style sauce with the garlic of Gilroy, California. What a wall of garlic! They're serious with the garlic, as some sweetness from tomatoes and a little vinegar tang is all that separates this from some freshly smashed cloves. Garlic follows through in the texture, with chunks visible in the opaque, orange-red sauce. This sauce runs just about in the middle of the thickness scale, with the sauce flowing off a spoon in chunks with little cling. Beyond garlic, specs of black pepper and other spices can also be seen. This is one complex sauce. Starting off with a tomato sweetness, garlic quickly takes center stage. The garlic is a layered flavor of fresh and powdered garlic. As you chew the chunks of garlic, the bite of the chopped cloves starts to burn the tongue, which then is heightened by crushed red pepper, leaving a strong heat and garlic flavor lingering. 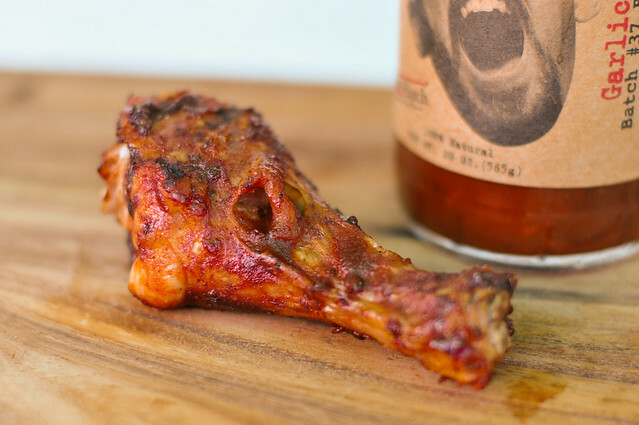 Staying true to its original taste, this sauce added massive flavor to the chicken. Within a sauce that baked in well, with just a little caramelization, the strong bite of garlic remained, but was scaled back just a tad, allowing a little extra sweetness to come through. The lingering burn at the end when tested out of the jar was more faint after cooked, but still there. 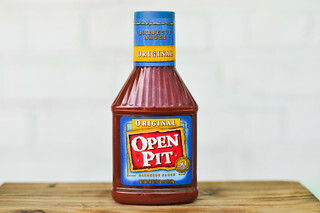 This was an extremely interesting and flavorful sauce, working great out of the jar and on the grill. The flavor is so strong and distinct, you'll really want to use this only when you know you want something that screams garlic. 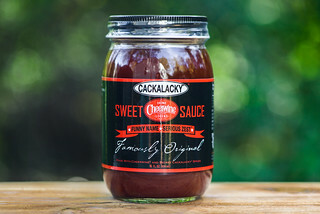 The flavors will be most pronounced on lighter meats like chicken and pork, but the heavy hand of this sauce would be easily distinguishable on heartier meats, but might compete too much with the natural flavor of meats like beef or lamb.